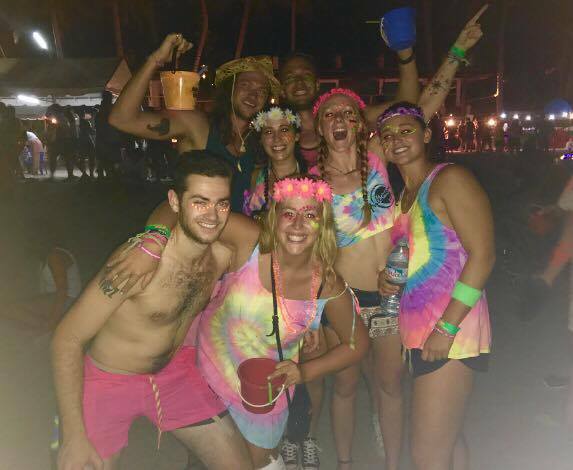 After 4 nights on the island we’ve finally made it to the night of the Full Moon Party. Everything was just a build up for this night. Woot! Again, I’ll have to leave out some details, but I’ll throw you the general gist of the night. The day mostly consisted of sleeping and shopping, so we’ll jump right into the night time. 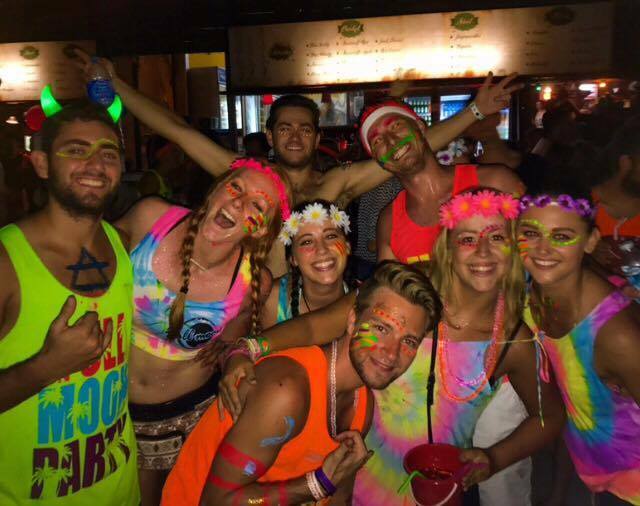 I’ll set the scene: Music is blaring, drinks are flowing and everyone at the hostel is painting their faces/bodies for the Full Moon Party. We collect our group and eventually decide to go down to the party at the beach around midnight. The night was just beginning and sure enough I got lost almost immediately. *smdh* To be fair, it wasn’t my fault this time. Emma and I split from the group to go to the bathroom, and when we got back, the group was gone. We searched for a while, but the beach consisted of a whole string of bars with tens of thousands of people crowding them. So we decided to have a fun night on our own. The night consisted of dancing, “drink breaks!,” occasionally running into people we knew, betting people for free drinks (and winning) and falling in love with strangers. One guy even asked for my hand in marriage. Haha. At the very end of the night, just before sunrise, we finally found the group we started with. We shared crazy stories from the night and laid on the beach while we watched the sun come up. 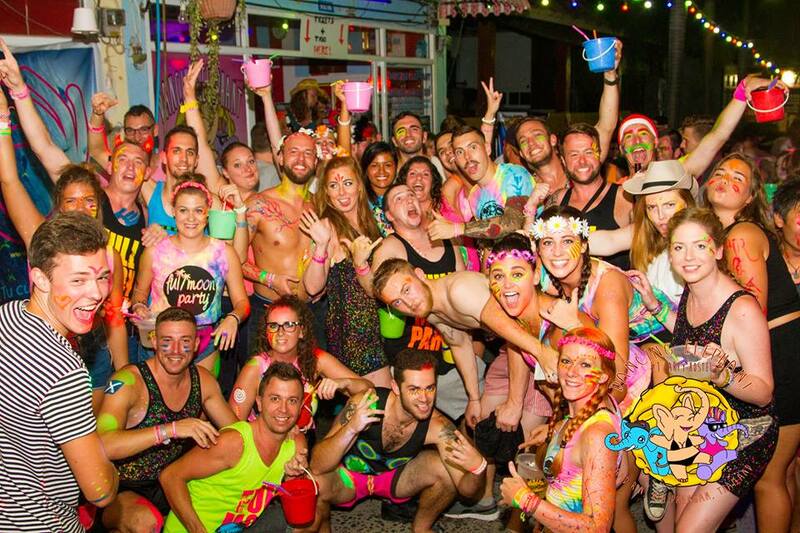 The day after the Full Moon Party mostly consisted of sleeping – as you would imagine. The hostel lounge area was full of exhausted, hungover travelers, dozing in and out of consciousness as we tried to recover. Aside from occasionally waking up to watch bits of whatever movie was showing on the TV, I slept until 8 PM. At night time, I didn’t anticipate going out, but it turned into one of those “I’ll just have one drink” kind of nights that I’m sure you can relate to. We started at the Backyard party, which was at a bar on top of a mountain. It was playing some sort of dark techno music, catering towards the hungover, drugged up people. Since we didn’t fit in there, Emma, Matt and I decided to go down to the beach bars with people from our hostel. 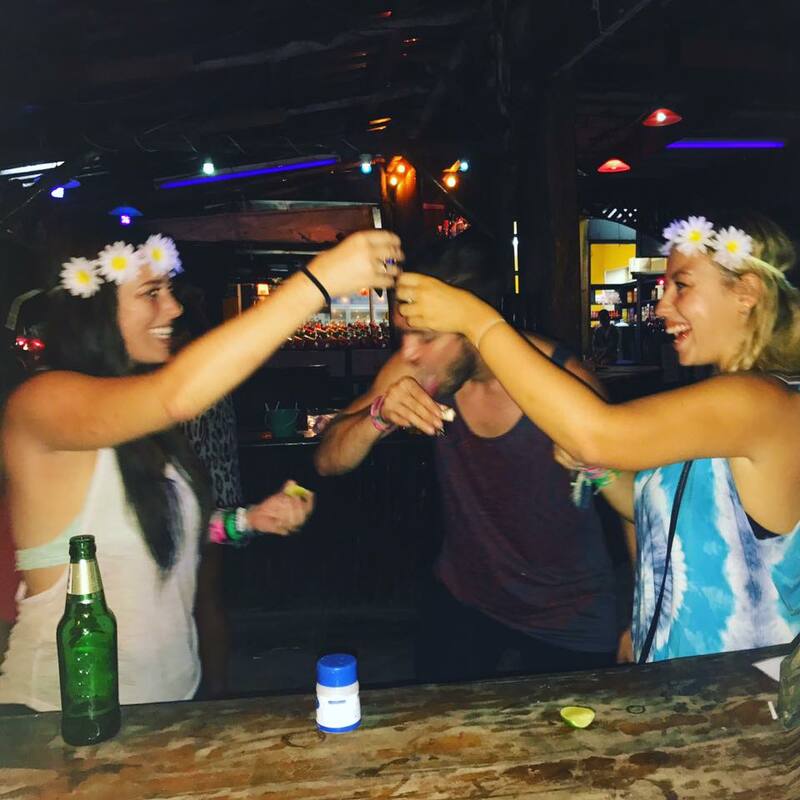 We danced on the tables and sang at the top of our lungs to songs like Aerosmith’s “I Don’t Want to Miss a Thing.” We stayed until the sun came up and only left when they started dismembering the bar and shutting everything down. While I’ve summarized this night up pretty quickly, it actually ended up being one of my favorite nights of my travels. I only slept an hour or two before we had to be dressed, packed and ready to leave the island. As we shuffled our bags into the tuk tuk and headed for the ferry port, I felt a wave of sadness. After spending nearly a week with these strangers, they soon became friends and eventually felt like family. It would be weird moving on without them. But lucky for me, I still had two months left in Southeast Asia. I would run into some of them again.